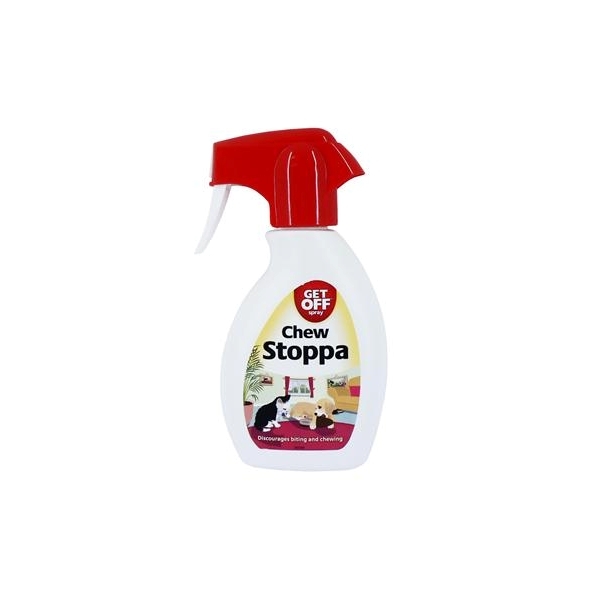 Get Off spray chew stoppa is a non-toxic bitter tasting formulation which helps prevent your pets chewing on textiles around the home. Especially suitable for cats, kittens, dogs, puppies, rabbits, hamsters, guinea pigs and other small animals. This product should be used in conjunction with standard house training techniques and should not be considered a substitute. Many behavioural problems such as chewing stem from boredom so ensure daily walks and interactive play.